1 hour free rehearsal at Mill Hill Music Complex on any Monday or Friday from 11-6 until the 31st May 2019. Mill Hill Music Complex is only 20mins from Cental London. Rehearsing for the world tour at @MillHillMusicCo weird feeling as I’ve been coming here since I was 16!! 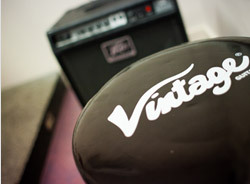 All of our rehearsal studios are fully equipped. Our recording studio produces absolutely amazing sound quality. We are London’s Finest Studio Complex. Established since 1979 in North London. We now have 16 studios including specialist music rehearsal, recording, dance, photography, video, auditioning suites, fitness space and general workspaces. Our new studio complex block has natural light, air-conditioning, a shop area and some snacks.